I tried my first quest bars about a year ago on my trip across the states, and I wasn't a huge fan. I felt like the bars and their taste was a bit over-hyped. Lets just say, I don't crave them. But then I bought a box of cookie dough quest bars, and learnt a new way to eat them....bake them into cookies! 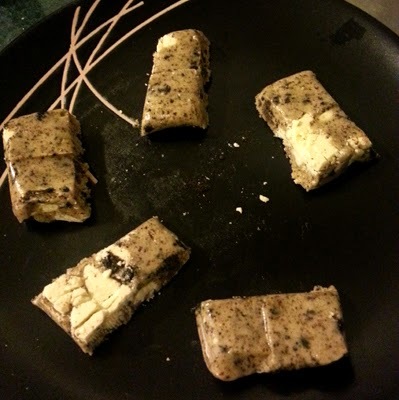 So, this meant that Cookie Dough, White Chocolate and Raspberry, and now Cookies and Cream are actually pretty good. Read below for the recipe. Quest bars are a protein bar that are gluten free, high in fibre, and come in a variety of different flavours. Taste: They have a strange taste, and it does have a slight artificial taste. You can taste the cookies and cream for sure. Texture: It has little bits of crushed up cookie in it, as well as some cookie chunks, and chunks of the "cream". Quest bars themselves can be a little hard depending where they are kept. Some people put them in the microwave for a few seconds so they soften up. A good amount of calories for a bar, reasonable fat, high carb - however if you are a net carb counter the carbs are quite low because of the fibre, low sugar, high protein, and moderate sodium. A good snack bar for on the go, after a workout. Ingredients: The main ingredient is whey protein isolate. Other notable ingredients are; water, almonds, cocoa butter, erythritol, and small amounts of other ingredients. In comparison to other quest bars I have tried this is probably a little down the list. 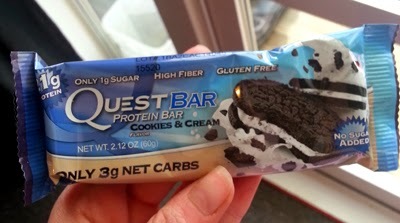 Nothing beats cookie dough flavour...However if you love quest bars and cookies and cream flavour I think this would be a good option for you. If you want to try these, you can buy them from iHerb here. Remember to use my code LDJ484 for a discount on your first order! 1. Preheat oven to 180 degrees celcius (350 farenheit). 2. Cut quest bar into 5-6 pieces and spread out onto a plate. Make sure they have a bit of room between them, as they melt a little bit. 3. Microwave for 10-20 seconds depending on the strength of your microwave. You just want them to be soft. 4. 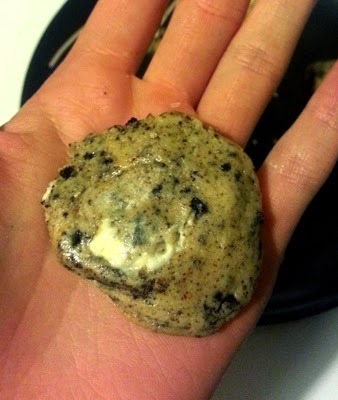 Pick up a piece and mould into a cookie shape. 5. Place them on a baking tray (still with space inbetween them....they puff up a bit). 6. Bake for 5-8 minutes...you pretty much have to watch them the whole time. They will go from uncooked to burnt fairly quickly. 7. Ta-da! 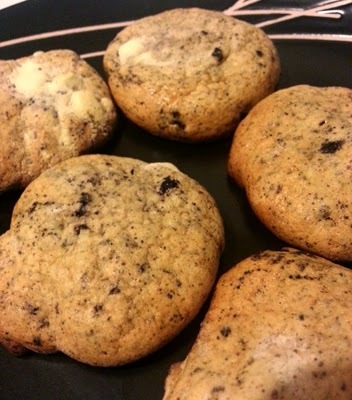 Protein Cookies and Cream Cookies.